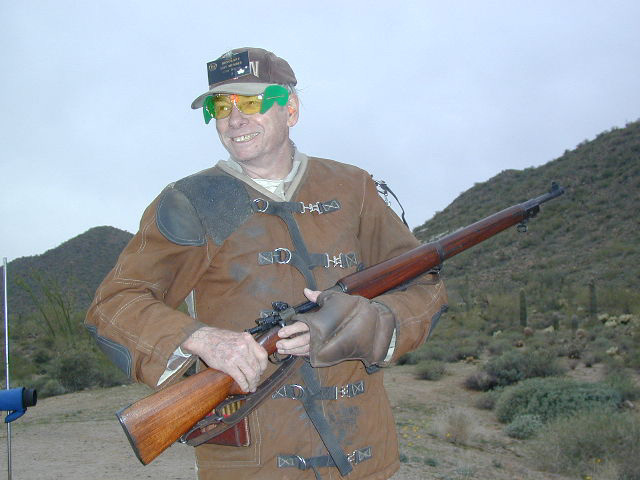 Welcome to Arizona-RifleShooting.com. 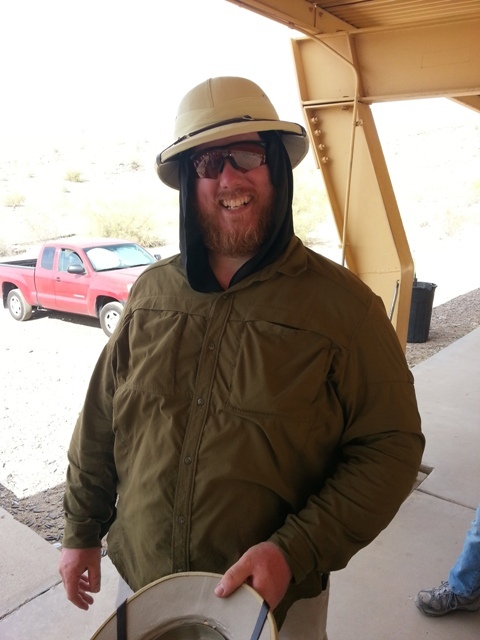 This web-site will provide match descriptions, tutorials, and other information including match schedules and announcements on competitive rifle shooting in and near Arizona. The primary emphasis of this site is Convention NRA/CMP Service Rifle, Vintage Rifle, Mid-Range, Long-Range and "Palma" Rifle as well as NRA & ISSF/Olympic Pistol and smallbore rifle. 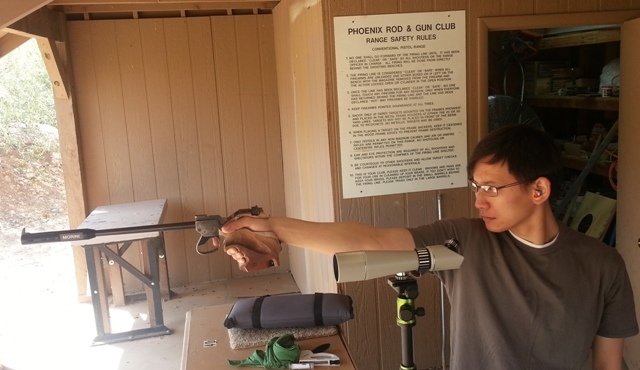 Occasionally other shooting disciplines, such as F-class & Tactical Rifle and Hunting Rifle. Check club websites for start times! Arrive 1 hour early for set up! Always bring 10 extra round for sighters. 8:30 means show up in the pits at 7:30AM for set up, squadding at 8:00, First shot at 8:30AM! SCHEDULES SUBJECT TO CHANGE AT THE LAST MINUTE. ALWAYS CHECK THE CLUB CALENDER THE NIGHT BEFORE. Lots of Bullseye Pistol shooting at PRGC I'll add that later! Buckeye, Joe Foss Range: now run by ASRPA. 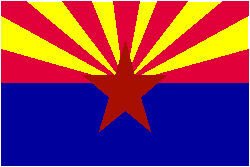 Arizona's two main 2nd amendment oriented civil rights advocacy organizations: ASRPA and AZCDL. Here is a page with 95 pictures from Camp Perry 2018. John Martin passed away in late July 2016. 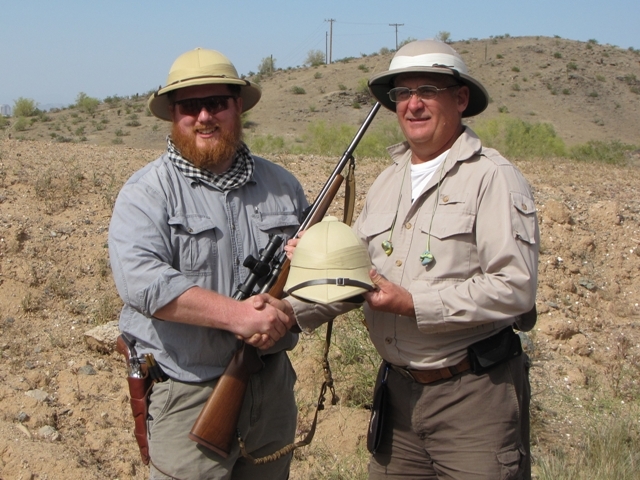 Safari Winner and his new Pith Helmet 2 years in a row! its a zoo out there! Here he is at PRGC practicing his 50 meter "Free Pistol" event. This guy shot a winning numerical score at Washington's Birthday, coming in 2nd place only by X-count! The Passing of R. Lee Ermey has been reported. AZ teams Spent a week this summer at Camp Perry! http://thecmp.org/competitions/cmp-national-matches/ the Service Rifle stages of the matches consist of three individual matches followed by three team matches. Three AZ shooters, one a junior, were in the top 100. There were 179 Juniors and 83 women in this match of 1073 shooters. 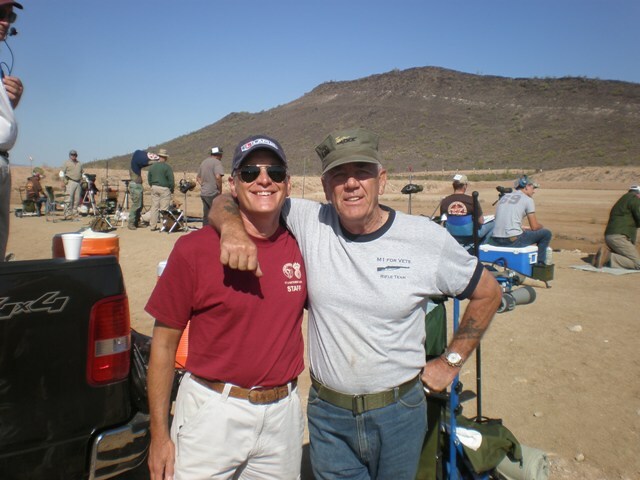 numerous times (over several state and national matches) can earn the Distinguished Rifleman badge, probably the highest achievement an average shooter can aspire to. 1007 shooters competed. 818 of them civilian, of the 19 Arizona civilians, 3 were in the top 10%, two are already Distinguished Riflemen, one, Dave F of Phoenix is now one step closer. Then came the 2-man "Hearst" team match, named after the trophy donated nearly 100 years ago by William Randolf Hearst. Of 293 adult teams, the highest placed AZ team came in 92nd place. (Juniors shot a different match this day). Then the National Trophy Team Match, 6 shooters, 50-shots each. Of 41 teams, The PRGC team came in 19th place and the Scorpions, 23rd. The final big Team Trophy Match named after the "Infantry Trophy" is the National Infantry Trophy Team Match, often called "Rattle Battle" since its all rapid fire at 600, 500, 300 and 200yds in that order! 35 teams entered, PRGC was 23rd place and the Scorpions 24th place! 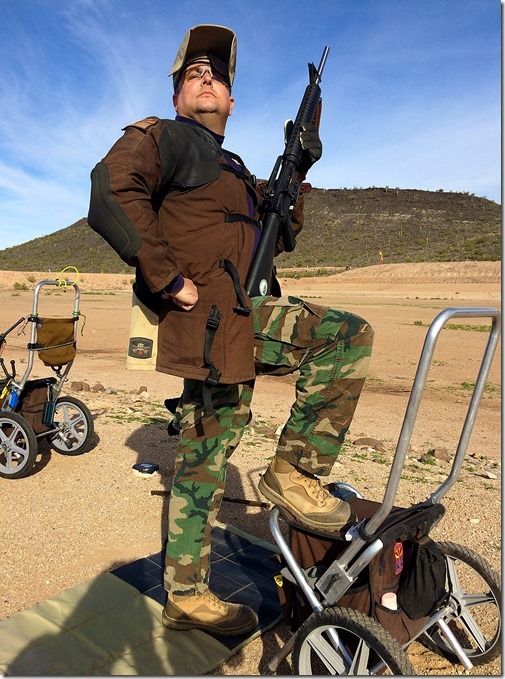 Funny CMP rule: every team must have at least one NEW SHOOTER! so the adult team will be looking for new shooters and of course the junior team needs to replace every member who turns 21 and can no longer shoot as a junior! So both teams will be recruiting new members this fall, stand by for more info! I now have 96 pictures posted! Members of the Arizona rifle teams are arriving at Camp Perry! Since 1907, Camp Perry, an Ohio National Guard base (right on Lake Erie between Detroit and Cleveland) has held the annual National Matches. http://thecmp.org/competitions/cmp-national-matches/ . NRA (founded 1871) and CMP (started as NBPRP in 1903) conduct a two month long series of Rifle and Pistol Matches. Starting with just smallbore (.22) rifle, pistol and high power (.30) rifle, Over the decades they have added so many new events were added such as various C&R shoots, long range, mid range prone, etc that NRA had to move smallbore and some of their less attended high power events to different ranges in neighboring Indiana, but the NRA Pistol Matches (Arizona team won civilian team!) and a whole slew of CMP High Power classes and matches are still held at Camp Perry. 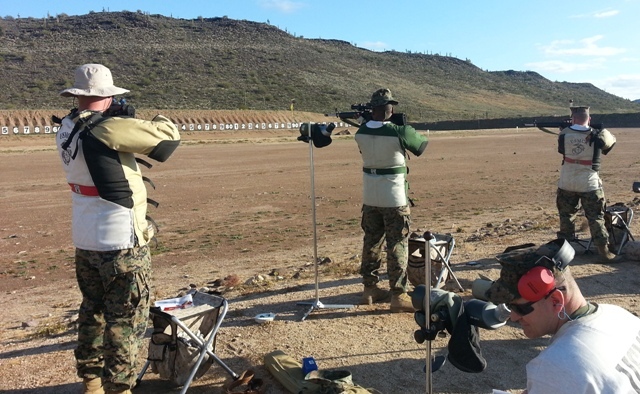 The Service Rifle stages sponsored by CMP, which start next week, are the best attended precision shooting event in the western hemisphere. Over 1000 shooters, side-by-side shooting 200, 300 and 600 yards! Standing, Sitting and Prone, slow fire and rapid fire! Nearly every single shooter using an AR-15! Arizona shooters will be there with 2 teams! All the shooters, 6 or 8 on each team, will shoot the individual matches, then the teams will shoot, as teams, in the team matches. This is about 7 days of shooting! AZ's junior team is VERY strong! for decades, almost every year, they win one of the big team matches. The problem with the Junior team is.... the best shooters leave! They "age out" at 21 or earlier if they join the military, and a lot do, we put an average of one cadet in a military academy every 2 years! So every year, they need to find NEW TEAM MEMBERS! So if you have a teenager (12 is about the youngest) who would like to shoot AR-15's with the best shooters in the state, get in touch with me, the team will be having a recruitment session in the fall! Our adult team needs shooters too! In fact, so many adult shooters are busy with careers or drift off into bolt action 1000yd shooting, that we really need to find as many AR-15 shooters as we can! We will be holding recruitment sessions in the fall too! http://thecmp.org/competitions/cmp-t...western-games/ with beginner's classes on Friday and Saturday 19-20-Oct. A bunch of serious AR-15 matches and a bunch of FUN, beginner-friendly M1/C&R shoots before and after! 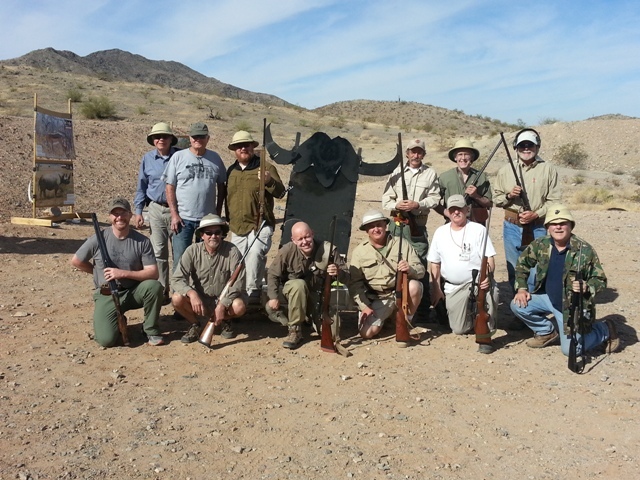 Rio Salado in east Mesa http://www.rsscaz.com/ holds a twice yearly beginner's High Power Rifle class, usually the 4th sunday in April and October, this year, it will be 28-Oct. http://www.riosaladohp.com/clinic.htm . Also, if you want to get into this type of shooting, all of our monthly club shoots, at all the ranges in town, are open to everyone, they are somewhat beginner-friendly and experienced shooters always go out of their way to teach the new guys! A few of us do one-on-one coaching. So there are LOTS of chances to learn the sport! Hope to see you all on the firing line soon!